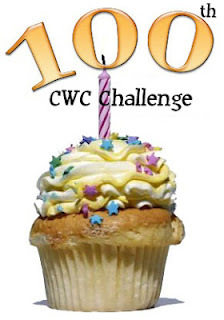 This week the CWC designers celebrated our 100th challenge by having a surprise thank you hop. It was truly wonderful to go through and see all the beautiful things they shared. SO in case you missed it, I wanted to share all the amazing projects they created. PLEASE be sure to head to their blogs and say thank you to them. Without them, our challenges would cease to exist! Designers, Thank you all once again for sharing your talents with all of us. Truly, CWC is....because of each of you! Thank too to all of you....our readers and followers for making us a part of your crafty time! Here’s to a 100 more!!!! Big Thanks to the DT!! I love seeing all of your awesome projects every week. Everyone does such a Great Job!! All the projects for this week are GREAT!!! They are all so gorgeous, what a DT you have!!! Great inspiration here for sure!!! !